ARTS V is the fifth generation system which was engineered for a pair of Northrop Grumman’s (NGC) prototype Global Hawk UAVs. The High Altitude Long Endurance (HALE) aircraft are stationed at NASA DFRC’s Edwards AFB for use in joint NGC/NASA research. The first mission for the ARTS V is the DARPA KQ-X program, which will flight demonstrate autonomous aerial refueling between the two Global Hawks in 2012. 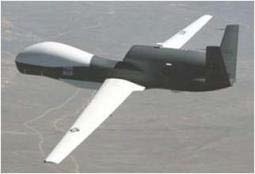 One flight unit is installed on each of the Global Hawk UAVs. Their function for the KQ-X program is to directly control mission-specific tems (refueling pumps, hoses, etc. ), host third party application software to conduct the refueling mission, and serve as the interface between other refueling-specific sensors installed on the aircraft specifically for the test and the main flight computer. A single ARTS V flight unit features a ¾ ATR chassis with two single board computers and a wealth of external I/O including 1553B, Ethernet, RS-422, CANbus, discrete and analog. Additionally, the ARTS V has 64 GB of on-board data storage capacity. ARTS V runs the VxWorks 5.5 OS. The ARTS V flight units are environmentally certified to MIL-STD-810F (vibration, shock, and thermal) and MIL-STD-461E (EMI).